Hey, hey good looking - what you got cooking? Below is just a small selection of the range cookers we have available – there are a host to choose from in a wide range of styles and configurations. 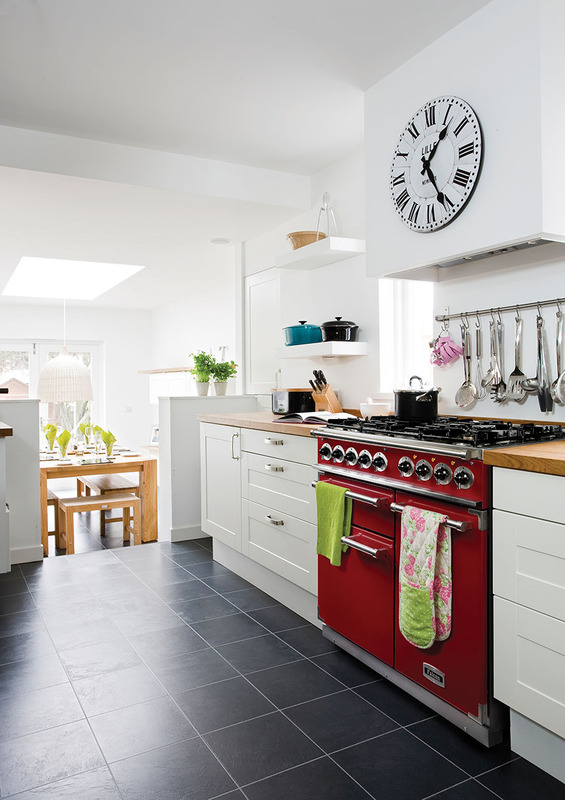 With advice from our experts, we are sure you will find a range cooker that exactly matches your needs and budget. Please scroll down to see our top-selling range cookers or click here to see our complete range. 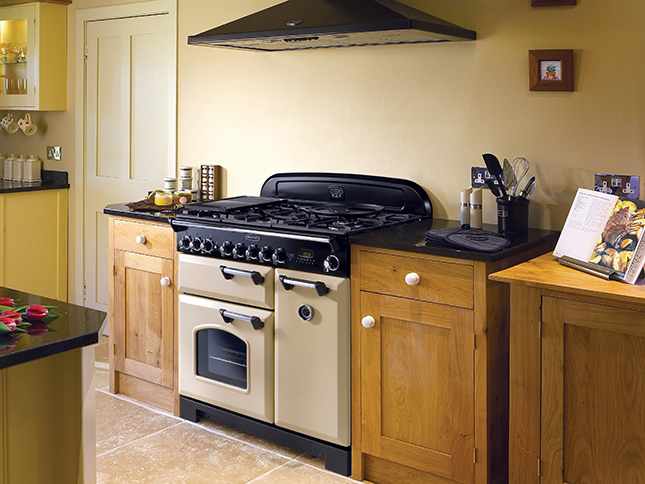 Choosing the perfect range cooker for you and your home. When it comes to Range Cookers, there has never been more choice than there is today. There are models just for cooking, models that will provide hot water or heat your whole house. Fuels include wood, solid fuel, oil, electric, gas or dual fuel, whatever your preference. Once you have made these key decisions, all that remains is styling. Will you go for the traditional country home look or a modern contemporary style? Whatever option you choose, we believe there is something to suit every household, kitchen and lifestyle. View live and working models at our purpose built showroom in Winkleigh, Devon. We welcome visitors from the South West – Cornwall, Devon, Dorset and Somerset as well as further afield and our trained staff will be pleased to talk through which model would suit you best. The advantages of cooking on a range cooker. Range cookers have clear advantages over built-in cooking appliances. Ovens are 20-30% larger, providing a steady, even cooking heat and retaining moisture. They have multiple ovens so different dishes at can be cooked at different temperatures simultaneously. They also provide heat storage, keeping your kitchen cosy all year round. 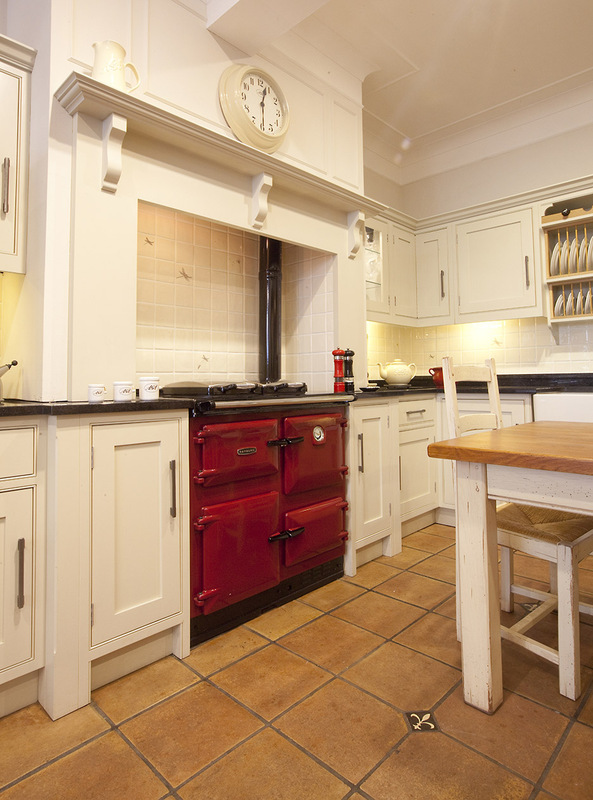 Your range cooker is a lifetime investment and should you move house, you can even take it with you. 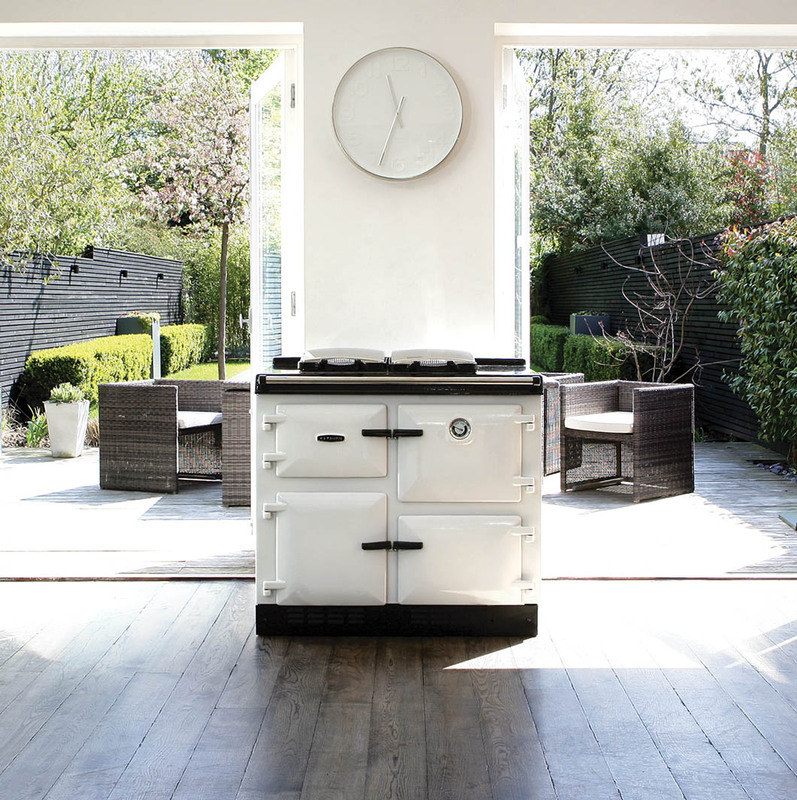 Our guide to choosing the pefect range cooker for you and your home. Watch our video about the wide range of range cookers you can explore and experience at our showroom. Watch our resident chef Toby cooking a couple of delicious recipes using an ESSE range cooker and a Morso Forno outdoor oven. Introducing the new Encore Deluxe from Rangemaster, the perfect addition to any kitchen with its sleek contemporary looks and key features. Available in a choice of widths, colours and fuel types, the Encore Deluxe features Rangemaster’s deluxe glide-out grill with 4-way trivet, two spacious oven cavities including a telescopic shelf and a large hob space offering plenty of room for cooking. A true classic from Rayburn. 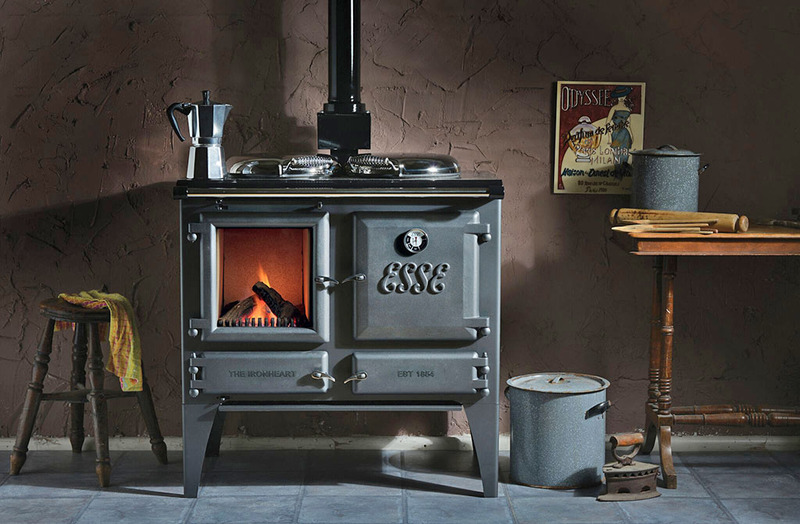 State-of-the-art, flexible heating and cooking in a traditional cast iron body. 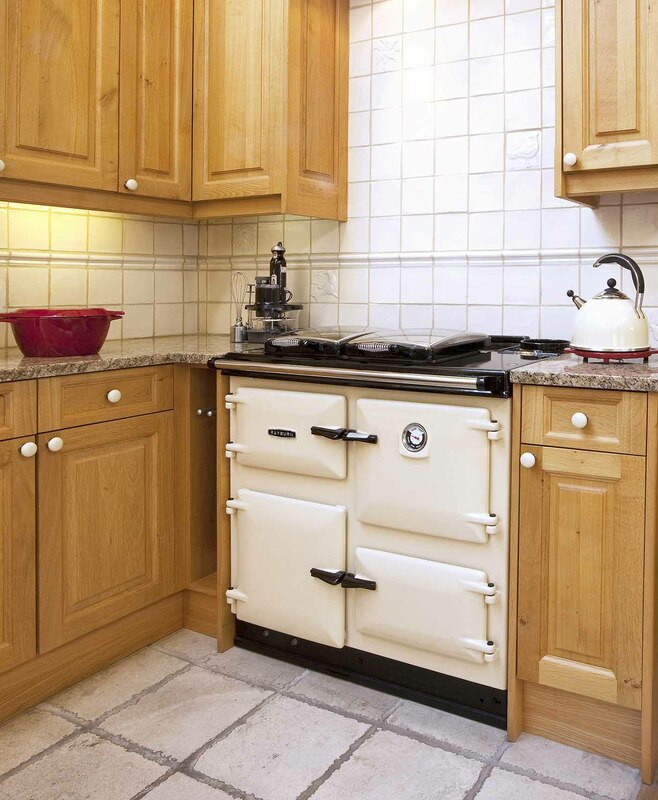 For seventy years Rayburn have been at the heart of many British homes – a trusted friend in the kitchen. 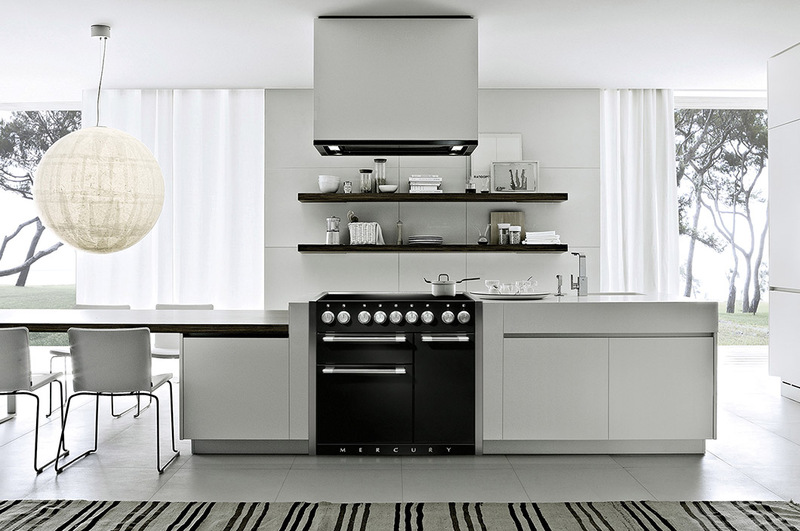 In the 600 Series they have created the perfect solution to all your cooking and heating requirements. 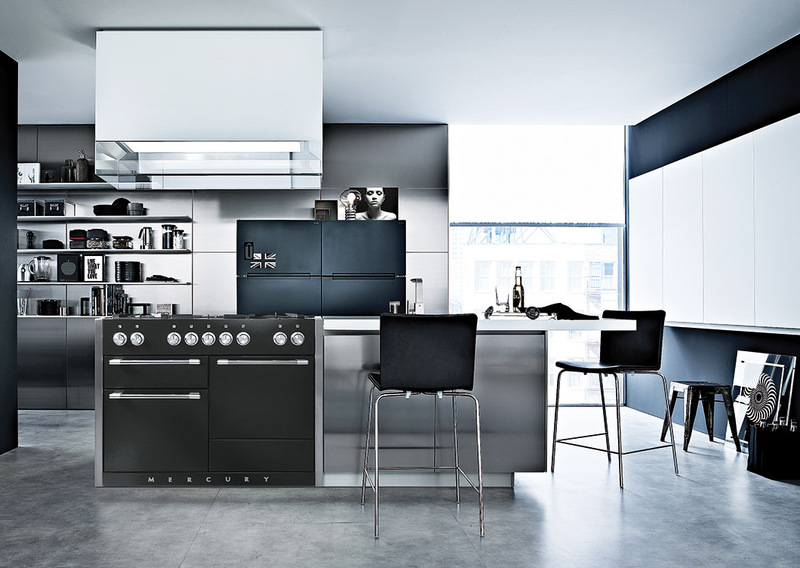 The hob with space for 8 saucepans, twin ovens and programmable controls provide the ultimate in cooking flexibility. The ‘A’ rated condensing boiler will heat up to 20 radiators while meeting all your hot water requirements. A contemporary range for modern times. Highly controllable with a wide variety of hob and oven configurations. 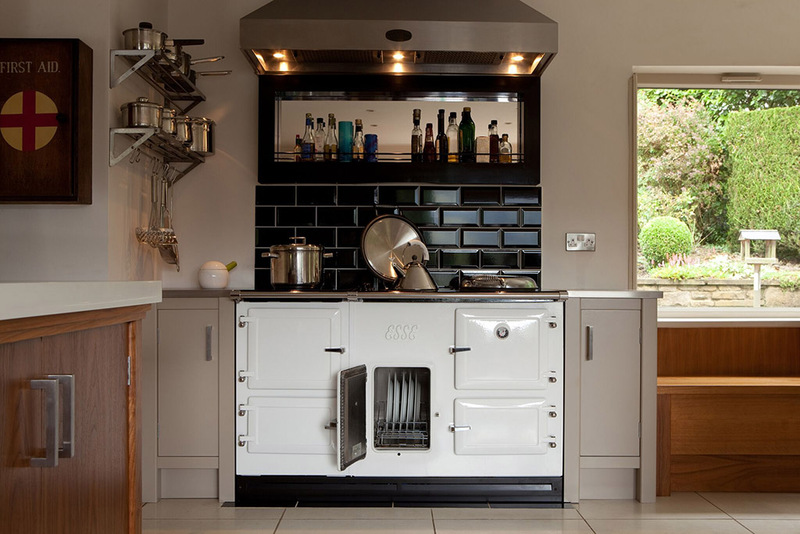 As part of the Aga-Rangemaster group, Mercury range cookers are the perfect solution for the contemporary kitchen. Sleek design is combined with uncompromising quality in both gas and induction models. 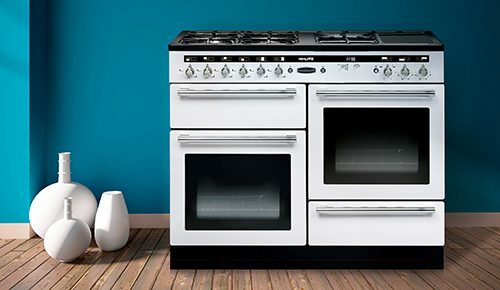 Featuring twin ovens, stainless steel hobs and Hi-Fi style controls, Mercury range cookers are available in two sizes and seven vibrant colours. 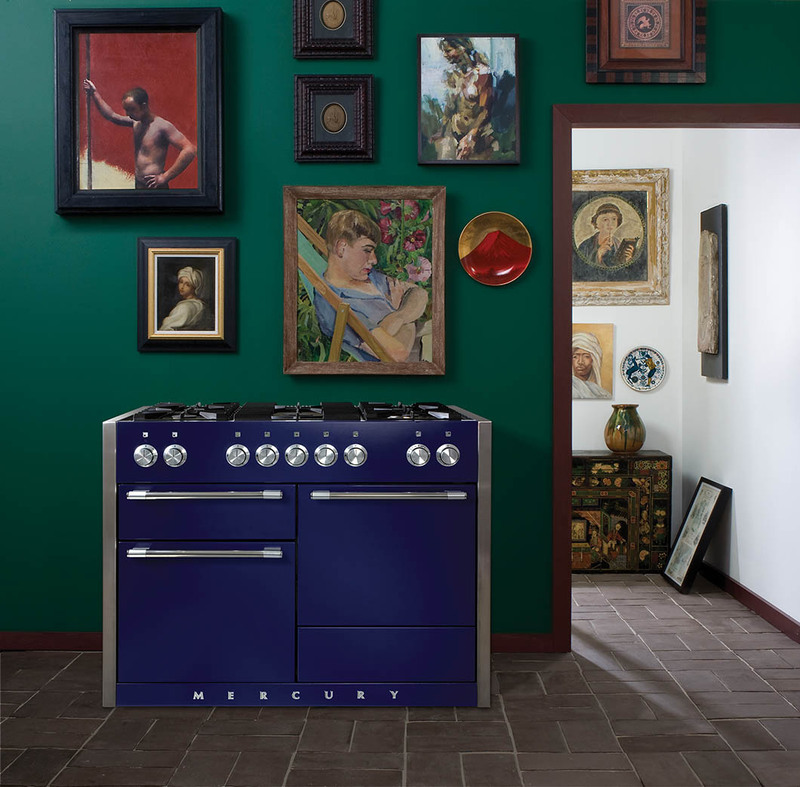 Beautifully made, stylish and robust the Mercury range makes a real statement in any kitchen. Maximum flexibility from the market leader. 3 Models in 8 colours, gas or electric or a combination of both. 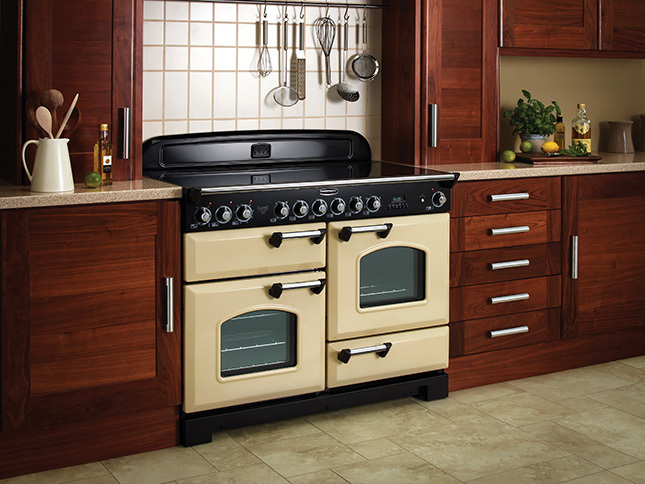 British to the core, Rangemaster have been making range cookers since 1830 clocking up their millionth in 2015. With their Classic Deluxe range they combine the ultimate in flexibility with legendary reliability and the much loved classic Rangemaster design. Choose the size and combination that best suits both your kitchen and your cooking style. 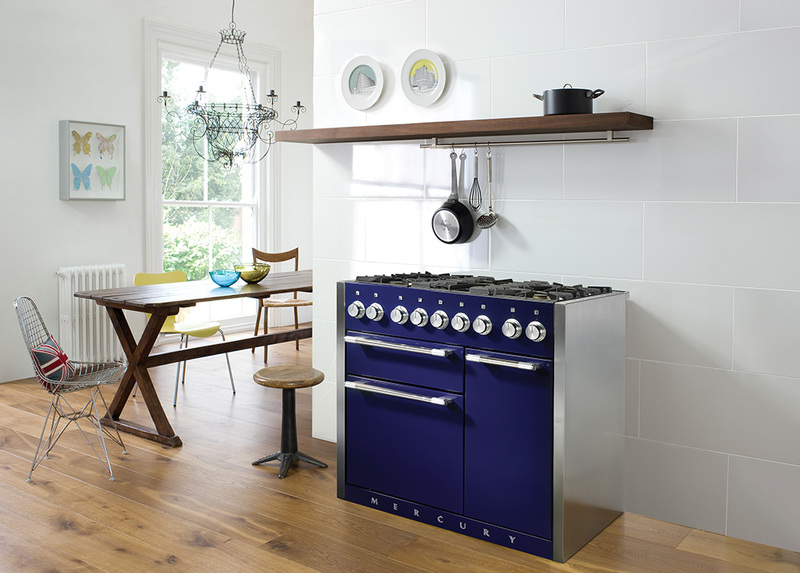 An economical, electric range cooker featuring both cast iron and induction hobs with stunning good looks! 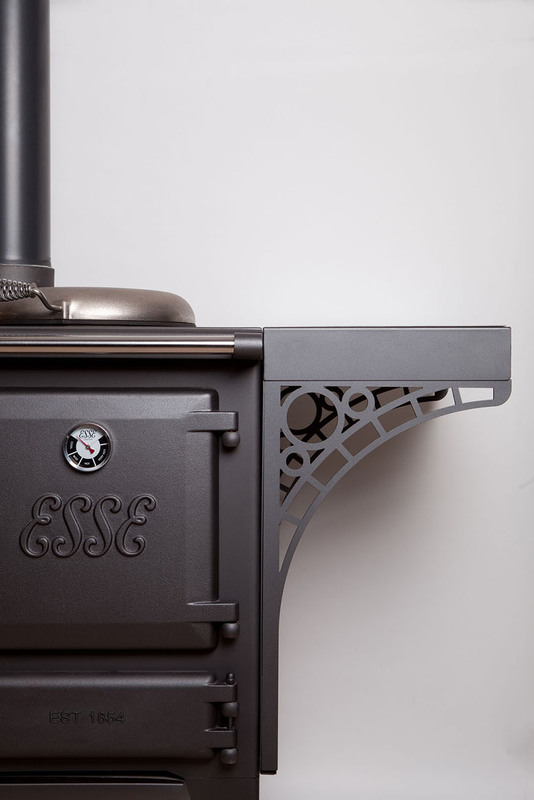 In the business for 160 years, Esse are bang up to date with their El 13 Amp range cooker. 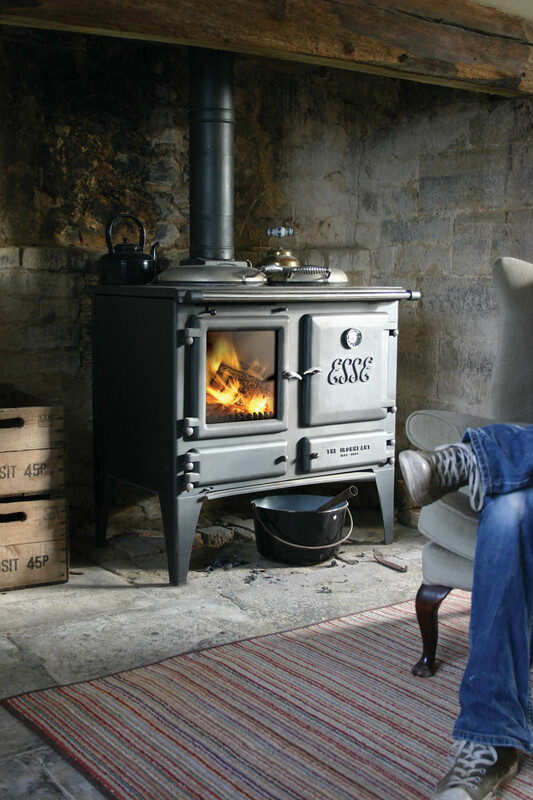 Simply plug in and cook – no flue required – it really is that easy. Twin ovens and both a cast iron and an induction hob, giving you all the cooking flexibility you need and the best of both worlds. Available in a variety of beautiful colours the EL 13 looks as good as it cooks. A cooker that’s a stove. 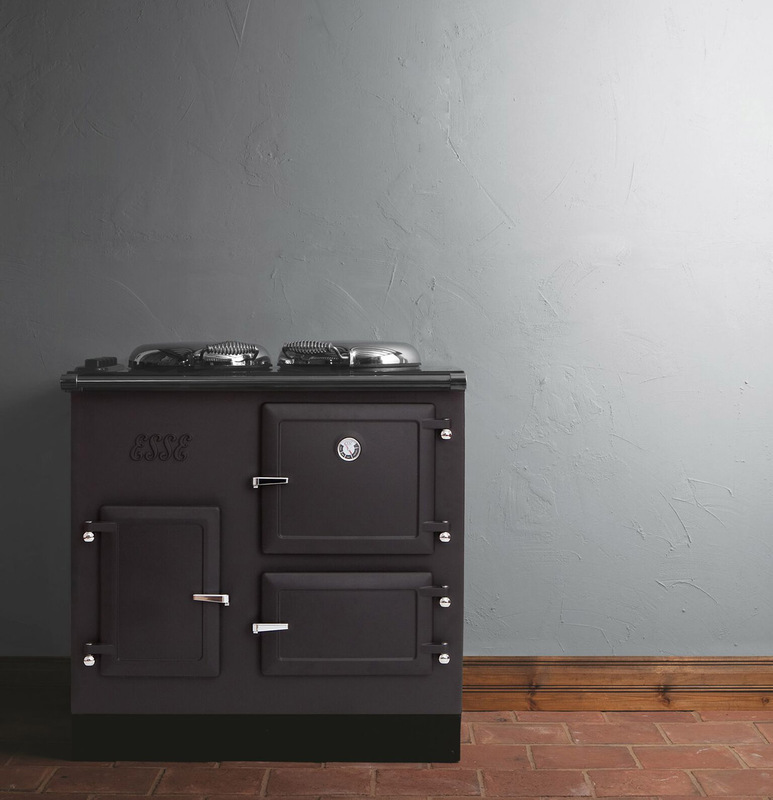 An innovative concept from a traditional British manufacturer – a range with serious cooking functionality and a 5.8kw stove. 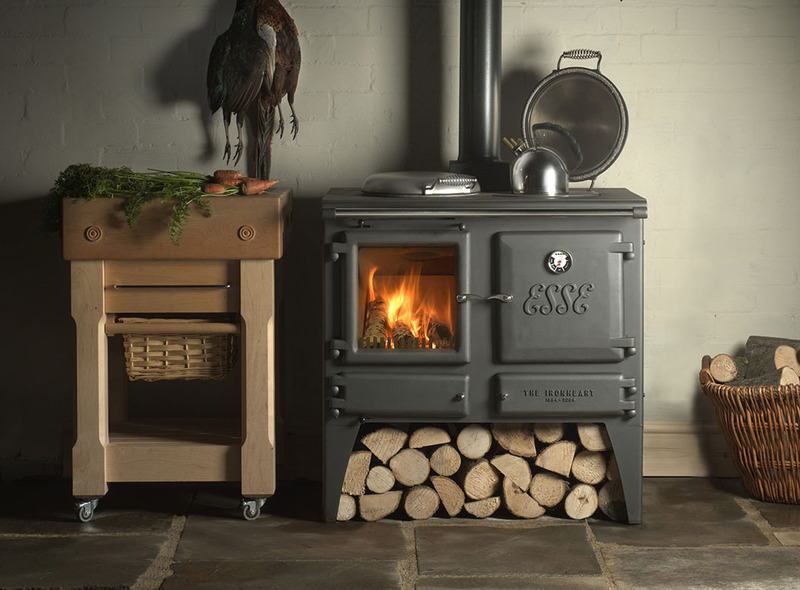 Created to celebrate Esse’s 150th year of range cooker manufacture, the Esse Ironheart Cook Stove provides a classic range cooker combined with a serious heating stove. Gas fired for instant control or wood fired if you prefer, with a six pan hotplate, a 50 litre oven plus a gorgeous flame effect stove. A real warm heart to your kitchen. 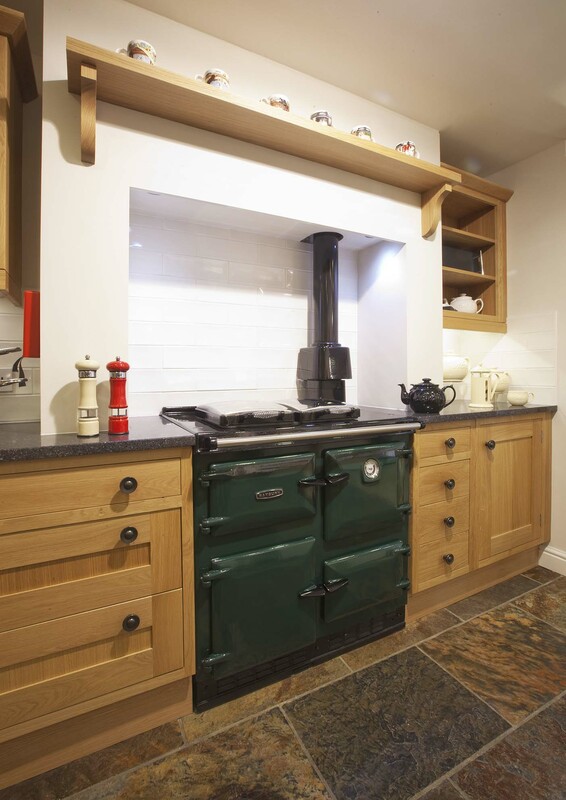 This cooker has been fondly adopted by the River Cottage team. The ideal range cookers for the fitted kitchen - designed to fit perfectly. 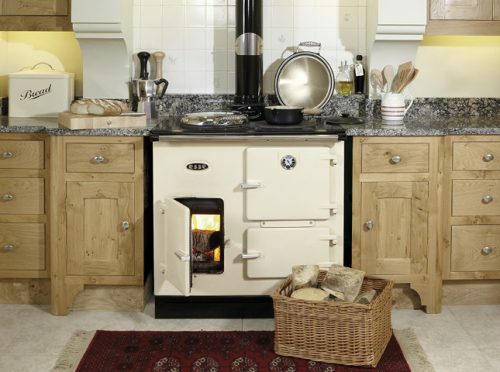 Efficient and versatile providing both cooking and central heating. 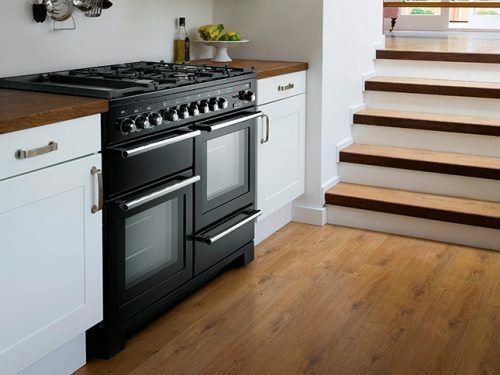 The Rayburn 400 Series of range cookers are designed to slot into the modern fitted kitchen, matching work heights and unit widths. What’s more, powered flue models need no chimney. 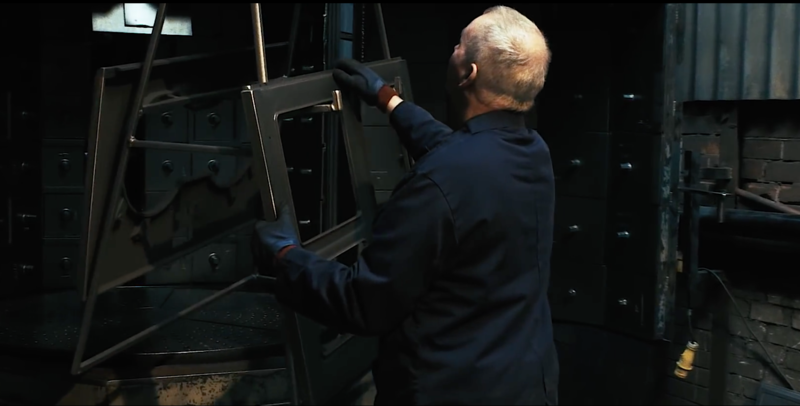 Large cast iron ovens have integral timers to ensure the right temperature at the right time. An external programmer is available as an optional extra. 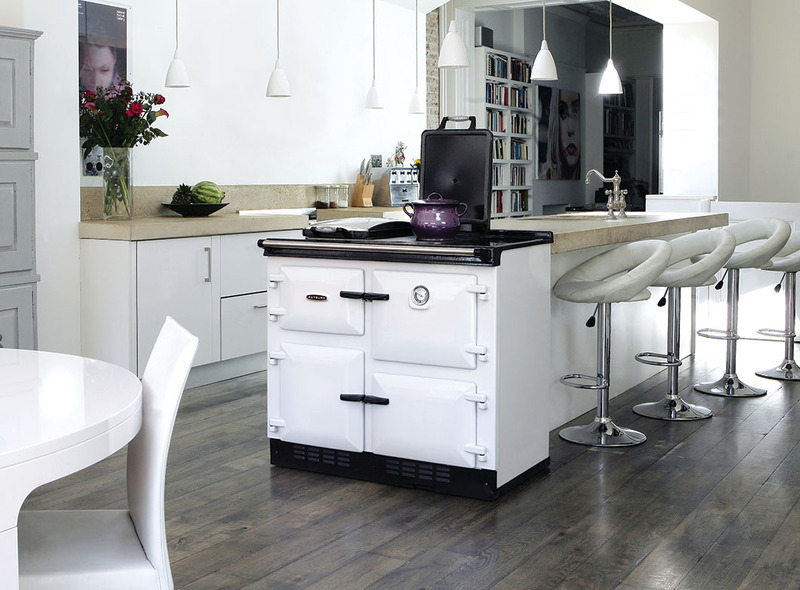 The ‘A’ rated boiler can heat up to 20 radiators with ease and provide all your cooking needs. 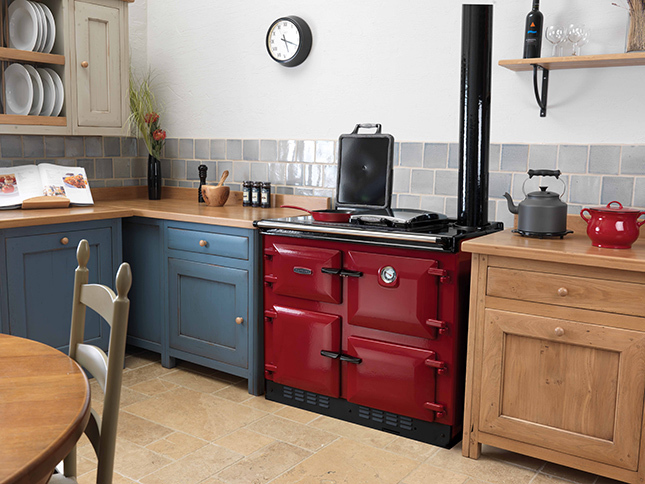 Backed by the Aga Rangemaster Group, British manufacturer Falcon brings a professional range cooker to the domestic market. Professional build quality combined with the ultimate in flexible cooking provides the perfect solution for the serious cook. Stainless steel hot plate, 5kw central burner, multi-function main oven, fan oven, roll out grill, heavy duty pan supports and oven shelves, all backed by a 3 year guarantee. 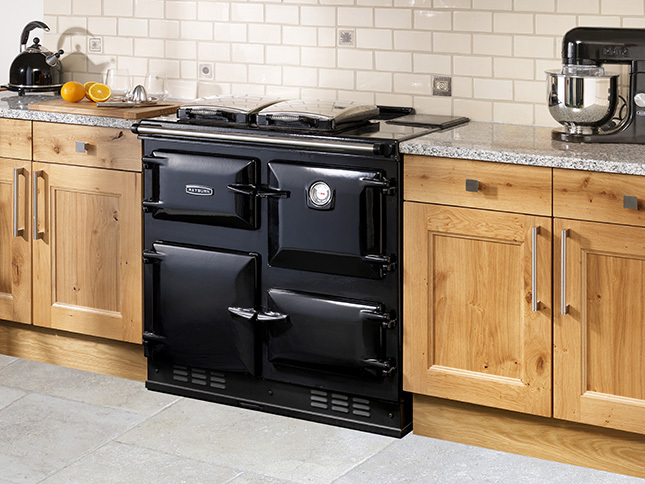 A classic range cooker from Stanley - incorporating the latest technology to provide flexible cooking options and a super-efficient central heating boiler. Fast heating twin ovens, twin hotplates and twin burners plus a 92% efficient condensing boiler capable of powering 16 radiators or even under-floor heating. 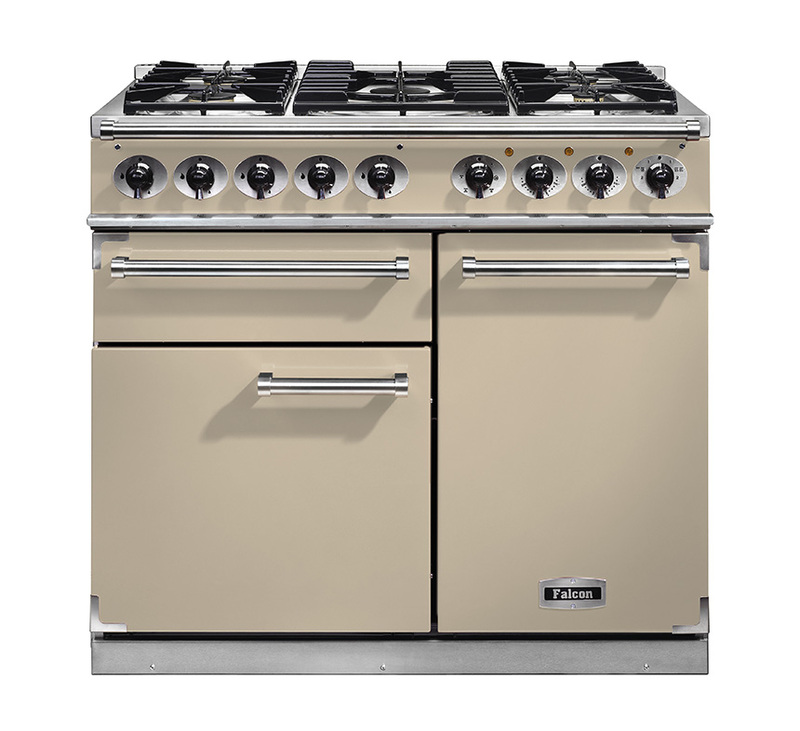 With classic, clean lines and chromed hot plate covers, this range cooker will enhance any kitchen. 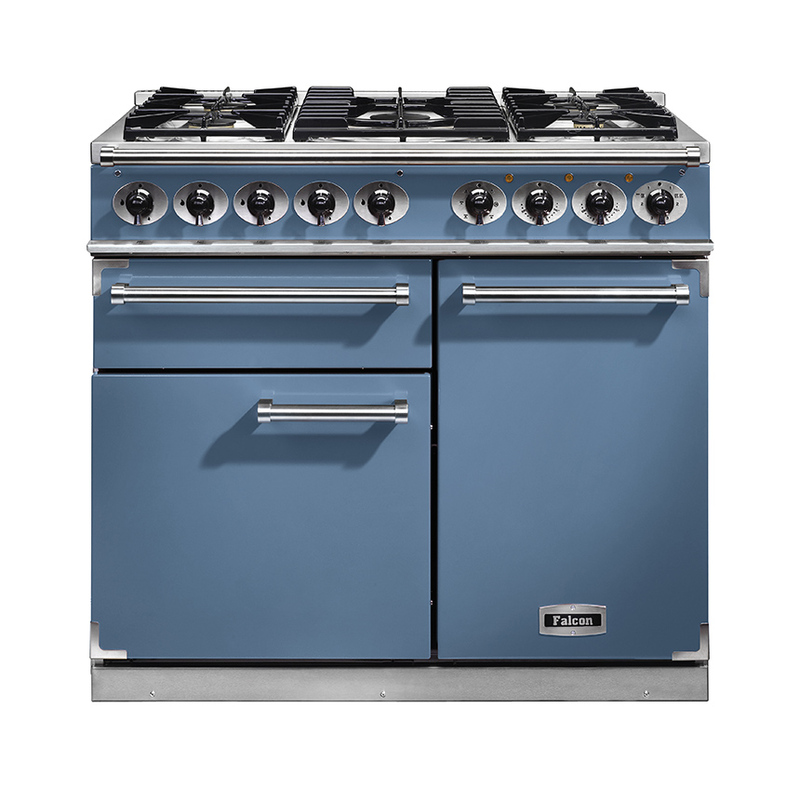 The Stanley Brandon is the ultimate range cooker for style and precision control.